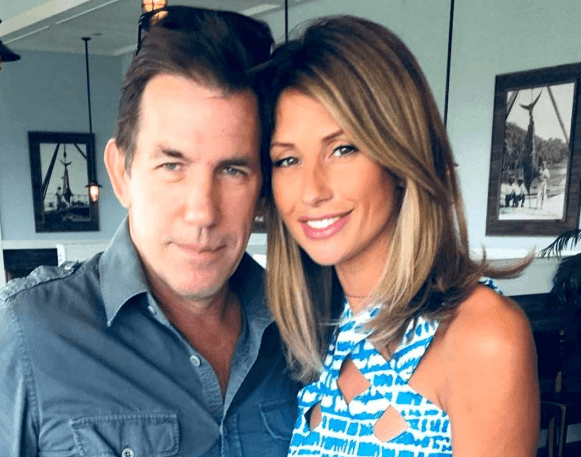 Thomas Ravenel and Ashley Jacobs NOT Engaged Or Married! The nightmare romance between Southern Charm personalities, Thomas Ravenel and Ashley Jacobs has seemingly fallen into a tired game of push and pull! However, fans were jolted when Instagram revealed a hint to an engagement, over the weekend. Thomas and Ashley were happily posed with another couple — and the caption read — “Great to be with this couple on their special day! Congrats and best wishes!” The suggestive quip was posted by a second man in the photo. PHOTOS: Ashley Jacobs Dating Multiple Men & Stalking Thomas Ravenel! A local source close to Thomas sets the record straight, clarifying that the ex-couple is most definitely not engaged. The Insta-caption stands as an odd choice of words, in light of the local’s clarification. Thomas Ravenel and Ashley Jacobs messy love affair played out on the last season of the Bravo show — their split revealed on social media, shortly after the season ended. Neither Thomas nor Ashley is expected to return for Season 6. Southern Charm begins filming Season 6 in a few weeks. Jeff Lewis Shades Jenni Pulos Ahead of ‘Flipping Out’ Premiere Tonight!